The National Space Science Center (NSSC) of the Chinese Academy of Sciences (CAS) is China’s gateway to space science. It is the key institute responsible for planning, developing, launching and operating China’s space science satellite missions. It also spearheads space science research in the fields of space physics, space environment, microwave remote sensing, space engineering technology, etc. 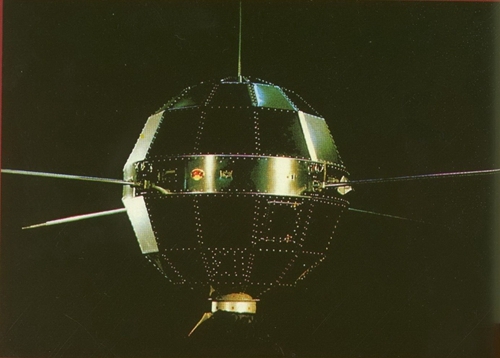 Established in 1958 by CAS, NSSC soon dedicated itself to developing China’s first artificial satellite, Dongfanghong-1 (DFH-1). From 1958 to 1968, NSSC designed, developed and tested DFH-1, and built an engineering model before it was handed to industry, paving the way for its successful launch on April 24, 1970. 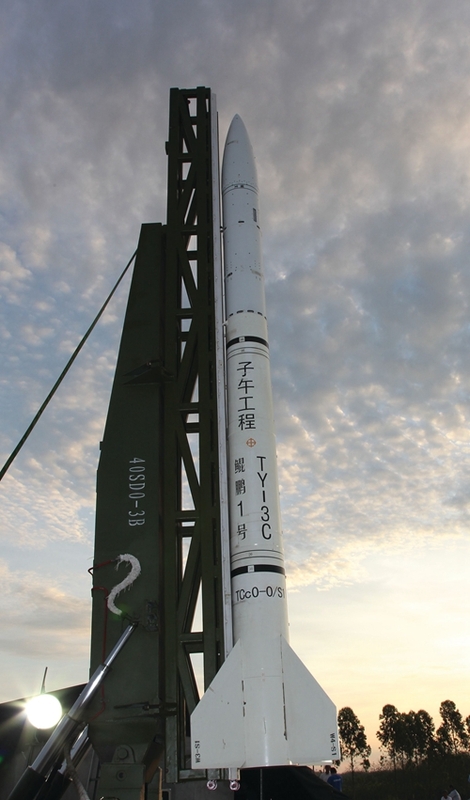 NSSC was in charge of application systems for China’s Manned Space Flight Program from 1992 to 2003. It also initiated and acted as lead institute in scientific application system and payload development for the Martian Space Environmental Exploration Orbiter (YH-1). Since 2004, NSSC has played an indispensable role in developing the scientific payload subsystem for China’s lunar exploration program. As early as 1997, NSSC proposed the Geo-space Double Star Exploration Program (DSP), a Sino-European project in which two satellites carried out research on magnetic storms from 2004 to 2007. The successful program, which was undertaken in cooperation with the European Space Agency (ESA)’s Cluster Program, was China’s first space science satellite mission and its first large-scale international space science project. DSP was also the first program in human history to realize six-point measurements in geo-space, in this case, dynamic measurements of the Earth’s magnetosphere. NSSC has also advanced space technology to support other science programs. 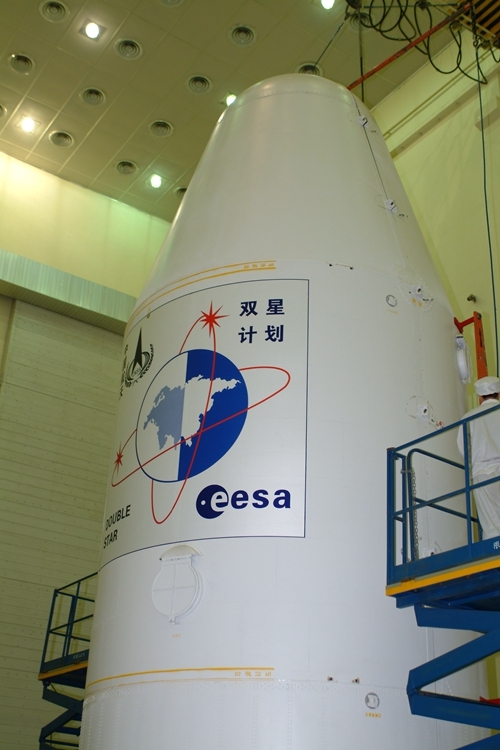 For example, space environment and remote sensing payloads developed by NSSC are now on board Chinese application satellites, such as the FY and HY series. NSSC has also developed the Meridian Project, which comprises a ground-based space environment monitoring network along the 120-degree East longitude, and 30-degree North latitude, as well as a station in Antarctica.The network of monitoring instruments is now being extended north to Russia, south to Australia, and to the other side of the globe along the 60-degree West longitude, as part of the International Space Weather Meridian Circle Program. NSSC is now in charge of CAS’s Strategic Pioneer Program on Space Science, which will launch four scientific satellite missions by 2016, i.e., the Hard X-ray Modulation Telescope; Quantum Experiments at Space Scale; Dark Matter Particle Explorer; and ShiJian-10. Several other missions are also under study, such as Kuafu, which would focus on solar influences on Earth space weather; the X-ray Timing and Polarization mission; the Space Very Long Baseline Interferometry mission; theSolar Polar Orbit Radio Telescope mission; the Magnetosphere-Ionosphere-Thermosphere Coupling Exploration mission; the Search for Terrestrial Exo-Planets mission; the Advanced Space-based Solar Observatory mission; the EinsteinProbe; and the Water Cycle Observation Mission. Advanced studies on future space science mission concepts and key technologies are also part of this program. NSSC has a staff of 680, including 299 professors and associate professors. NSSC is the home of the National Key Laboratory of Space Weather, two CAS key laboratories, one Russia-China Joint Research Center on Space Weather, as well as asounding rocket launchsite in Hainan Province. NSSC has Ph.D. and master’s programsin space physics; computer application technology; geo-space exploration technology; and electromagnetic theory and microwave technology. In addition, it offers a master’s degreein spacecraft design. NSSC also has a postdoctoral program in space physics.